You wouldn’t be reading this without an internet connection. What else do you use it for? Browsing websites, email and maybe some videos and games? The internet has so much more to offer – and VoIP is one of them. 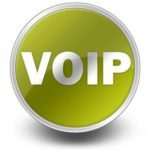 VoIP (Voice over Internet Protocol) is a powerful, cost-effective internet telephony tool that allows you to replace your old phone system with an internet-based alternative. It’s especially useful for business communications. Are you missing out? VoIP translates voice into data packets and then converts it back to audio. For in-house calls it uses your local network. For external or long distance calls it uses the internet. One of the great advantages of VoIP is that it opens up a whole new world of internet telephony possibilities. With VoIP you can make use of features that you’d probably only get from your phone company at extra cost by subscribing to a premium plan or paying on top for individual extras. No surprises here – it’s cheaper. 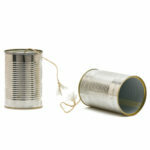 Do your business communications entail making regular long distance calls? You could save as much as 50-70% on your phone bill by switching to a VoIP system. Depending on your provider, you may not be charged per call, but will pay a flat rate for a plan of a specific size. That will be determined by the number of lines and devices your internet telephony requires. It’s very likely that you’ll be able to ditch your old analog lines and bypass the phone company altogether (though obviously you’ll need a line for your internet connection, which makes everything else possible). VoIP offers all the service features you’d expect, plus more. They include call forwarding, call waiting, hold, conferencing, call recording and call transfers. It makes it easy to monitor conversations and call times, check voicemail and generate reports. It can even send your voicemails direct to your email inbox. 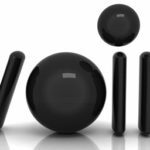 These are just some of the core features of VoIP. Shop around to get full details of what different providers can offer you. In a world where people and work are often mobile, VoIP offers convenient solutions for workers on the move. It can transfer your office phone service to anywhere you want, so you’re not tied to your office workstation. Your phone number can be used via any internet connection, no matter where you are. 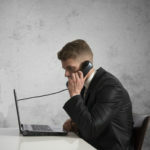 You can connect a SIP- or IAX-compatible phone by means of Wi-Fi, a router or a USB port, so you can make whatever calls you need just as you would if you were at your desk. When a single office number is used by multiple staff members in different places, the system is streamlined and will be free over a single company network. With a shared company network, teleconferencing is easy and economical. It’s extremely convenient if you run your business from more than one office. It’s also a bonus within a single office, because you can add workstations without also having to add new phone lines. The potential for savings is obvious. More and more businesses in New Jersey are ditching the analog lines in favour of digital solutions. 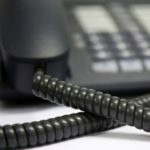 Are you thinking of switching to VoIP? 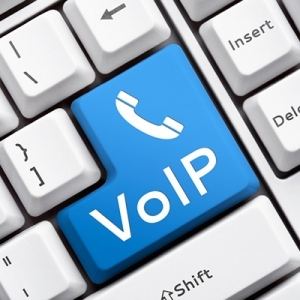 At Quikteks we can create a VoIP plan tailored to your needs. Call us today at (973) 882-4644 and we’ll show you how easy it can be.